Harry Potter Egg Cup and Toast Cutter is FINALLY back into stock, and will make the perfect gift for any Harry Potter fan. 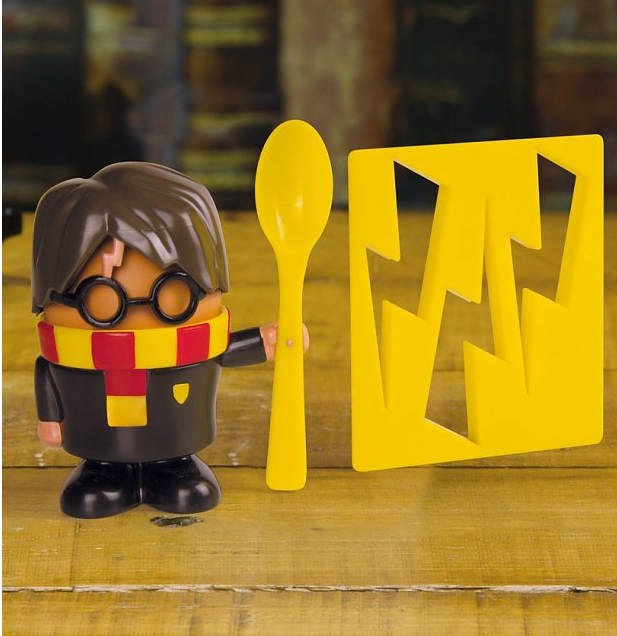 This VERY cool Harry Potter Egg Cup and Toast Cutter is just £8.99. Why not turn your boiled egg into Harry himself, and comes complete with lightning scar and glasses. The egg cup also holds a spoon ready for you to eat your brekkie, and to finish off your magical breakfast you get a toast cutter to make lightning bolt toast too!! Delivery from The Gift and Gadget Store is just £1.99. * Please note that this set is also available for the same price from Truffle Shuffle*, however their postage is a little more at £2.95.